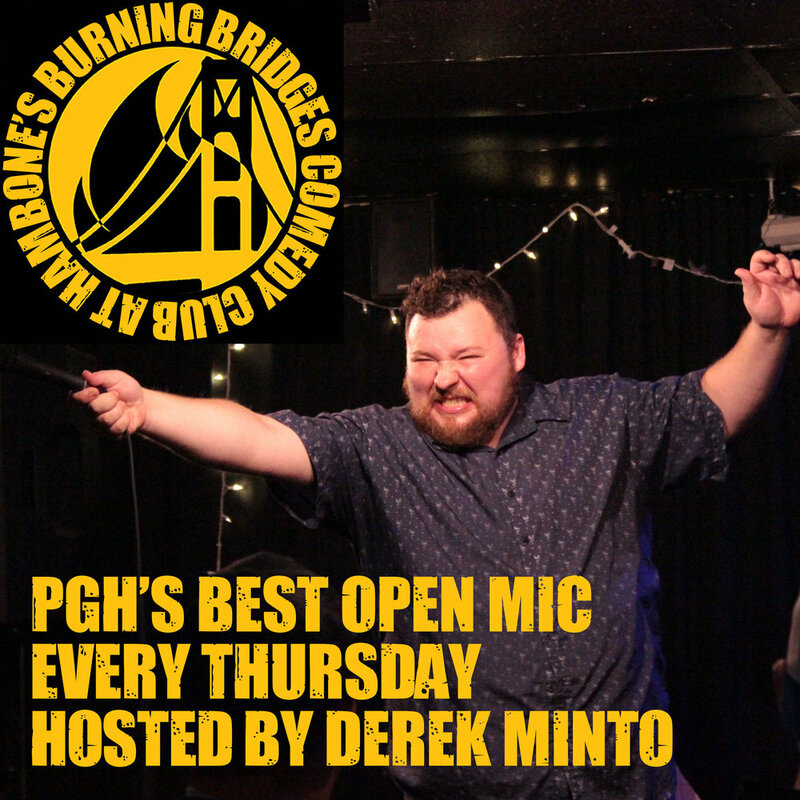 The Burning Bridges Comedy Club hosts two open stages for stand-up comedy, giving new and professional comics of all levels an opportunity to work on their act. Hambone’s was recognized by the City Paper’s 2018 ‘Best of the Burgh - Comedy Open Mic’. NO musical, ventriloquist or magic acts – stand-up comedy only! In you are looking for more info feel free to message us via Facebook or through our contact page. We regularly post announcements via the Pittsburgh Open Mic page and the club facebook page . 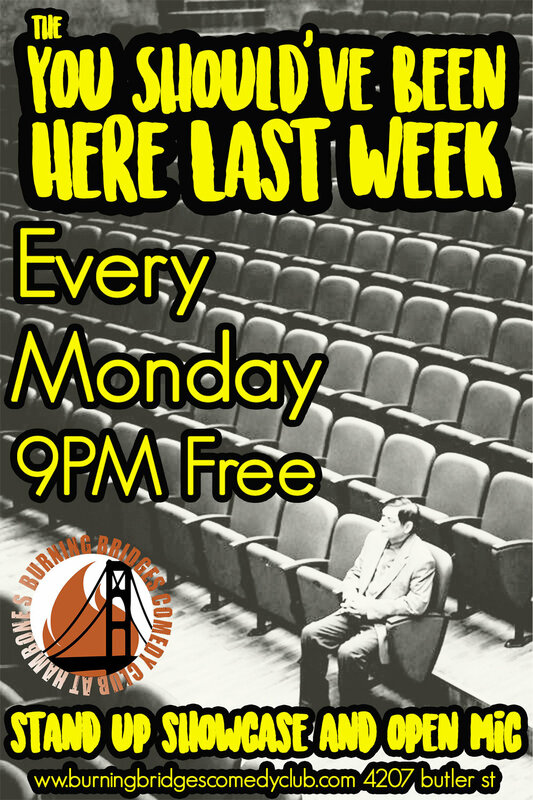 Sign up every Sunday via Pittsburgh Open Mic page for our Monday open mic. Or message Burning Bridges on Facebook. Show starts at 9PM. Typically 3-5 minute sets. This might be the best open mic in the state. Stage time will vary depending on the number of comics. Typically 3-5 minutes. Sign up in person starting at 8:30pm or message Derek Minto via Facebook.